Whether you’re packing your own lunch to take to the office or you simply aren’t in the mood to slave over a hot stove, sandwiches are a classic, comforting, go-to meal. That doesn’t mean you have to limit your sammo repetoire to the same old cold cuts, processed cheese and store-bought mayonnaise. Up the nutrition between those buns by making veggies the star, then blaze a new trail with different whole-grain breads and healthy spreads. 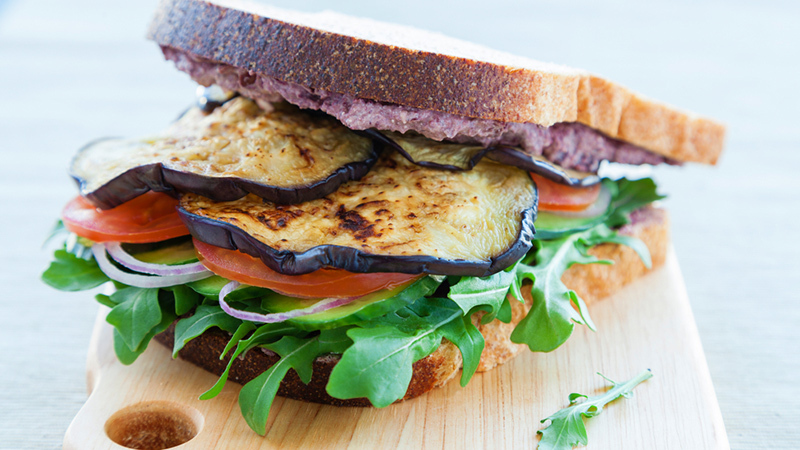 Get inspired with some of our favourite healthy vegetarian sandwich recipes below. Want to dip your toes in the water of vegetarian sandwiches, but aren’t sure where to start? Try shiitake mushrooms! 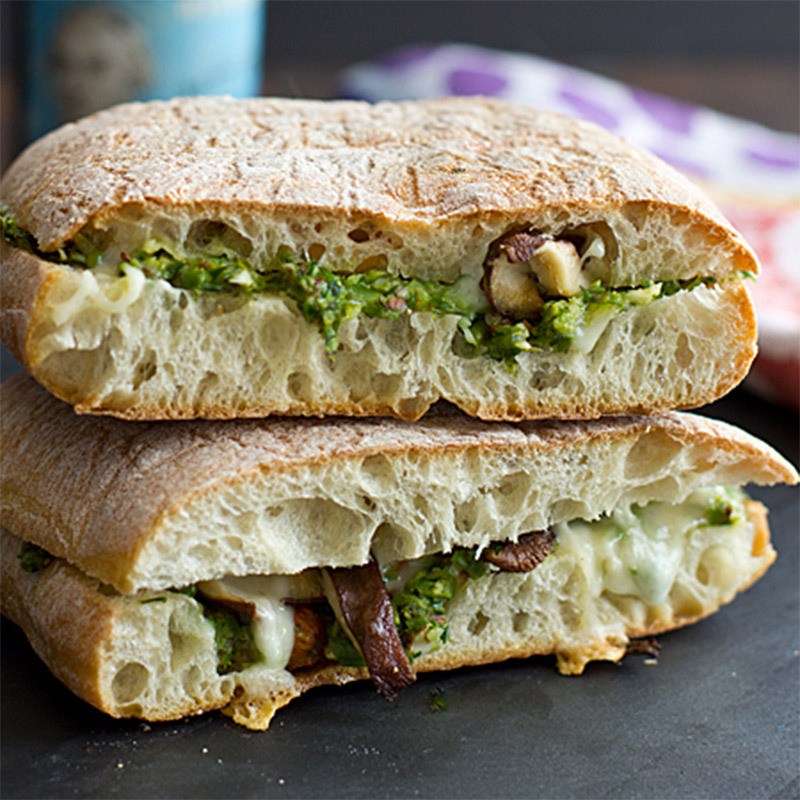 Kiersten of Oh My Veggies has given us a wonderful recipe that utilizes these mushrooms, alongside some asparagus pesto spread on the sandwich – doesn’t that sound tasty? Granted, this recipe takes a bit more time than your average meat and cheese sandwich, but it is well worth it! If you’re a caprese fan, this sandwich is for you. Love and Lemons turns the Italian salad into a delicious sandwich by taking everything and putting it in between two slices of toasted or grilled bread. 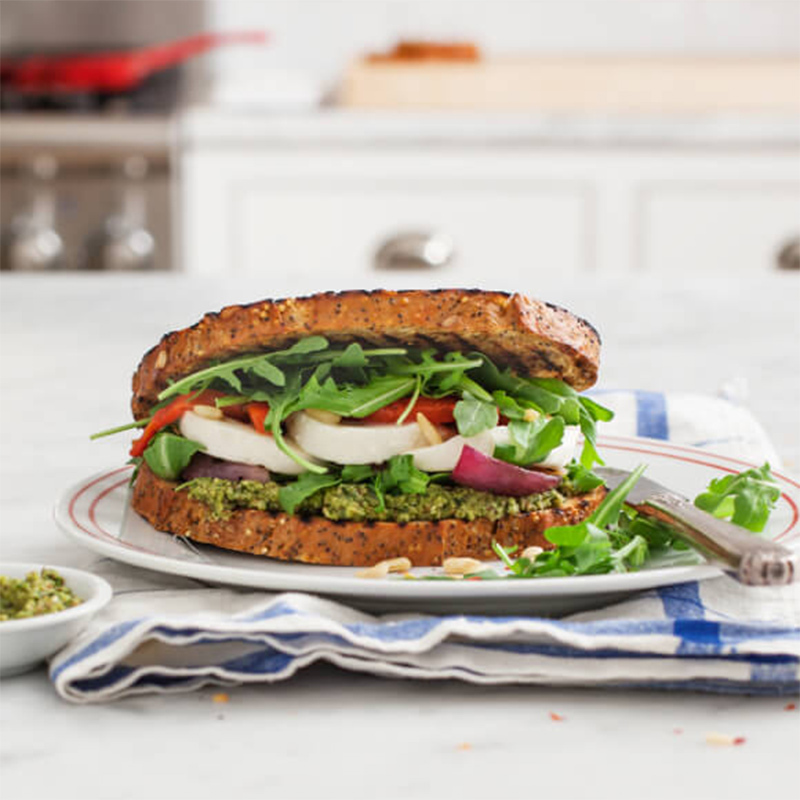 Like the shiitake sandwich, this recipe has an olive and almond pesto, sure to add even more flavour to this already vibrant sandwich. 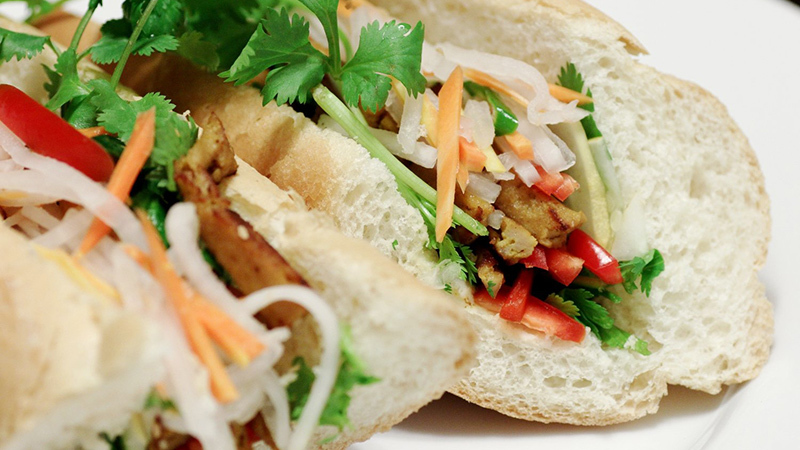 For those who aren’t familiar, Banh Mi is a Vietnamese sandwich. Typically the sandwich has meat, but Stacy of Centerstage Wellness gives us a nice veggie alternative. With a radish, some carrots, and vinegar, the recipe comes together to make you forget that you even needed meat for the sandwich in the first place. Did you know there was a vegetarian version of the sloppy Joe? PopSugar introduces us to a sloppy Joe full of veggies, portobello mushrooms, bell pepper, garlic and other yummy flavours. 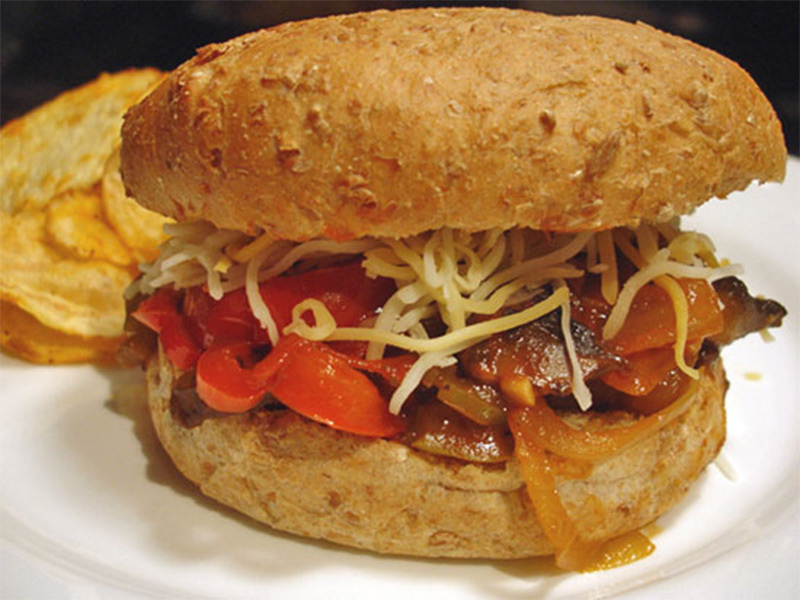 Add the mixture to a toasted ciabatta bun and this sandwich is sure to give the classic sloppy Joe a run for its money! Looking for a veggie sandwich that’s healthy, vegetarian, and gluten-free? This sandwich is right up your alley. 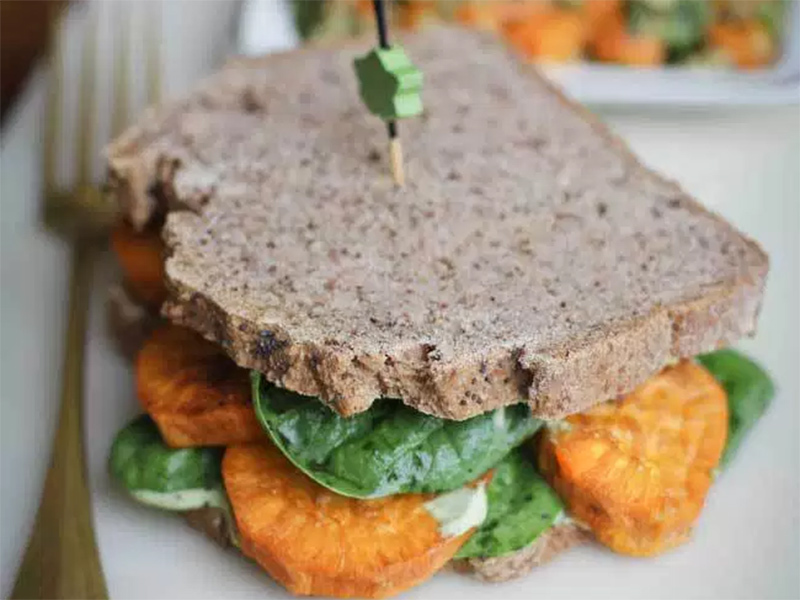 Beard and Bonnet’s sandwich recipe contains not only sweet potatoes, but also baby spinach. The cream has white onion and garlic incorporated into it alongside the cilantro and cashews. What’s an ALT, you ask? Avocado, Lettuce, and Tomato of course: It’s a vegetarian BLT! Just like your typical BLT, the ALT is just as simple, easy, and delicious. Give it a go and see how you like it! 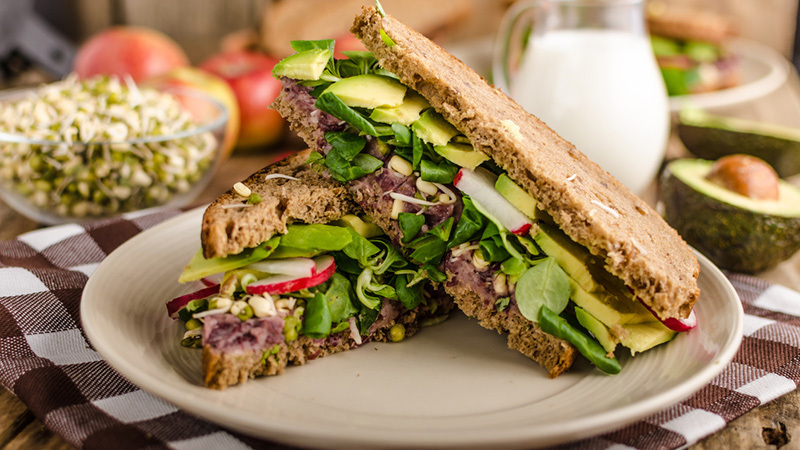 Another simple sandwich that has many health benefits: With with 9 grams of fiber and 12 grams of protein, this sandwich is the perfect way to get your nutrients in. Not to mention how warm and creamy it is. 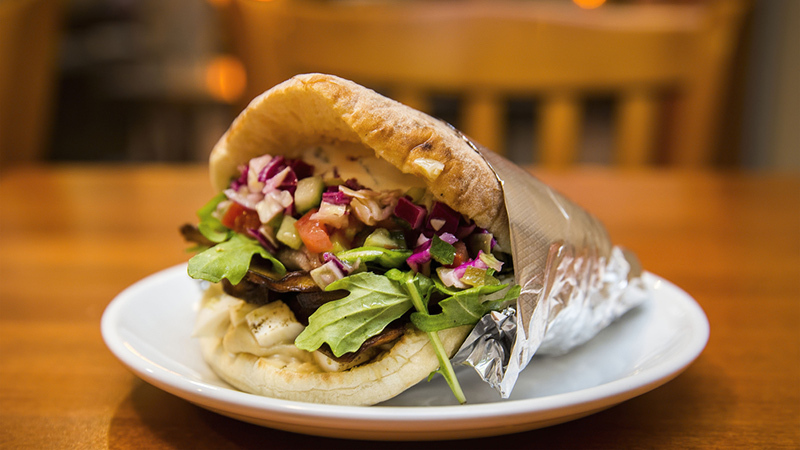 The last veggie sandwich on our list is the grilled veggie pita. This sandwich only requires about six ingredients and takes next to no time to prepare. It also offers up over five grams of both fibre and protein.